A rigorous, automated approach to analyzing fault-tolerance of distributed systems is presented. The method is based on a stream model of computation that incorporates approximation mechanisms. 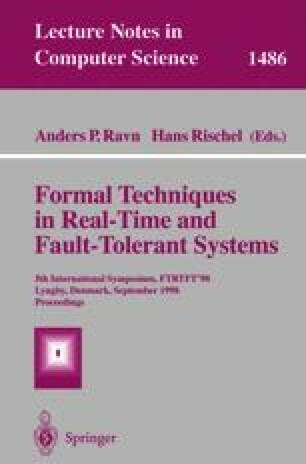 One application is described: a protocol for fault-tolerant moving agents. This material is based on work supported in part by NSF/DARPA Grant No. CCR-9014363, NASA/DARPA grant NAG-2-893, and AFOSR grant F49620-94-1-0198. Any opinions, findings, and conclusions or recommendations expressed in this publication are those of the authors and do not reflect the views of these agencies.